In the case of Winslow v. Deck, the live-in partner of a man who died in 2015 sought to have a more recent version of his will (drafted in 2014) recognized, while his daughter wanted the probate court to establish that her version, drafted in 1991, was the one that held the greater legal weight. According to court records, the testator left his entire estate to his two adult children in the earlier version of the will. Several years after that, however, he befriended a woman and they soon began living together. After this, he drafted a second will that contained language indicating all prior wills were revoked and leaving his entire estate to her. The probate court denied the emergency petition and dismissed it without prejudice, recognizing instead the administration of the first will. More than a year passed, and the daughter moved to dismiss the counterpetition with prejudice, arguing the partner lacked standing to contest the first will. She pointed out that the partner had three months from the date of notice that the first will was being recognized to take action, and while she did file an emergency petition, she failed to file any paperwork asking the court to revoke the first will. The partner asked the court to either deny her motion to dismiss or else grant her leave to amend. The court dismissed the counterpetition with prejudice (meaning she couldn’t file it again) and issued a final order, finding she had failed to meet the statutory requirements as set forth in F.S. 733.212(3) to adequately request relief. On appeal, the 4th DCA reversed, concluding courts as a general rule shouldn’t prevent a petitioner from challenging a will just because of a technical flaw without offering a reasonable opportunity to fix it. The court held that while neither of counterpetitioner’s filings were “models of clarity,” they were nevertheless sufficient to assert that that the first will wasn’t the last or valid will and that the estate should have an independent executor. 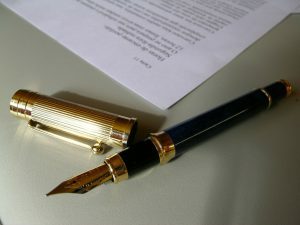 If you run into a situation where there is a dispute among family or loved ones regarding two or more wills left by a decedent, a probate lawyer should be contacted for help with these proceedings. Initial consultations are free. Call Fort Lauderdale Probate Lawyer Richard Ansara at (954) 761-4011. Serving Broward, Miami-Dade and Palm Beach counties.